New Super Mario Bros. 2 is a side-scrolling platformer video game in the Super Mario series developed by Nintendo for the Nintendo 3DS handheld console. 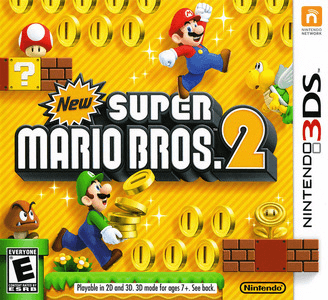 The game is a direct sequel to the 2006 Nintendo DS game New Super Mario Bros. The game continues the style of gameplay from New Super Mario Bros., featuring side-scrolling platform action as Mario or Luigi attempt to rescue Princess Peach from Bowser and his Koopalings. New Super Mario Bros. 2 has no graphical issues in Citra. The game by itself runs flawlessly, doesn’t require high-end hardware to run this game. You also may notice some slowdowns at times.